A flagship Powell River shopping experience is here. 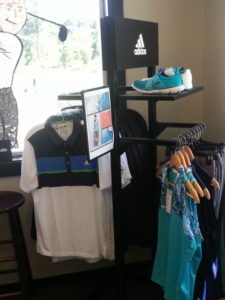 Myrtle Point Golf Club Powell River and TaylorMade-adidas have partnered up to bring MPGC shoppers a flagship shopping experience inside the Pro Shop. 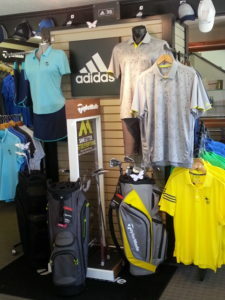 Our exclusive shop, the first of its kind for the TaylorMade-adidas golf brands in Canada, delivers a new cutting edge shopping experience. 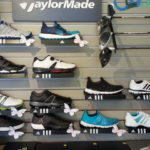 Our retail space was completely redesigned, delivering a premium shopping experience for golfers interested in the latest products from TaylorMade and adidas Golf. 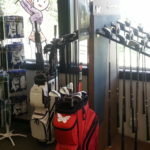 The Shop includes designated areas for each brand and a vibrant, broad selection of the latest products including golf clubs, footwear, apparel and golf accessories.